H. Rick Bamman - hbamman@shawmedia.com Shannon Cajpwesk of Johnsburg adjusts his helmut before heading out on the trails at Veteran Acres Park in Crystal Lake. H. Rick Bamman - hbamman@shawmedia.com Shannon Cajpwesk of Johnsburg checks the tire pressure before each ride. 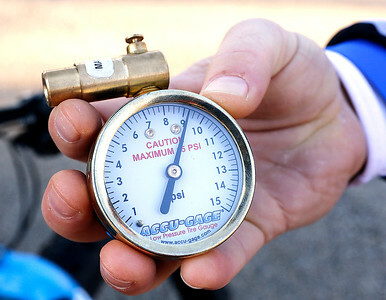 Tire pressure can be adjusted to better traverse trail conditions. 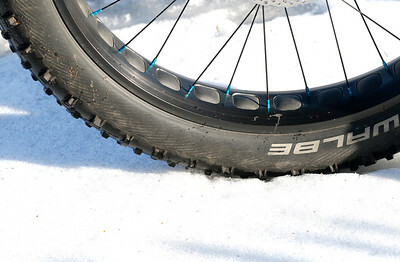 H. Rick Bamman - hbamman@shawmedia.com A Felt fatty bike tire rolls over snow at Veteran Acres Park in Crystal Lake. H. Rick Bamman - hbamman@shawmedia.com Shannon Cajpwesk of Johnsburg rides his Fatty bike at Veteran Acres Park in Crystal Lake. The bikes feature huge tires and are able to nearly float over a variety of trail conditions. Dain Trittau rides along. H. Rick Bamman - hbamman@shawmedia.com Riding his Felt fatty bike at Veteran Acres Park in Crystal Lake Shannon Cajpwesk of Johnsburg can traverse multiple trail conditions. H. Rick Bamman - hbamman@shawmedia.com Shannon Cajpwesk of Johnsburg with is Fatty bike at Veteran Acres Park in Crystal Lake. The bikes feature huge tires and are able to nearly float over a variety of trail conditions. 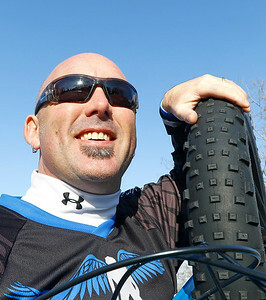 H. Rick Bamman - hbamman@shawmedia.com Dain Trittau adjusts tire pressure on his Felt fat bike before heading out on a ride in Veteran Acres Park in Crystal Lake. 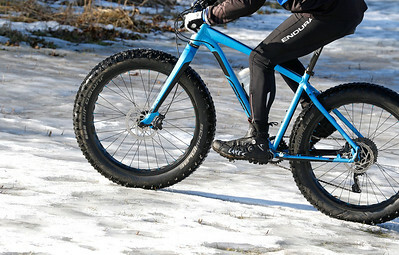 The bikes feature huge tires and are able to nearly float over a variety of trail conditions. H. Rick Bamman - hbamman@shawmedia.com Dain Trittau (cq) (left) of Pingree Grove and Shannon Cajpwesk of Johnsburg, head their Felt faty bikes to a trail at Veteran Acres Park. 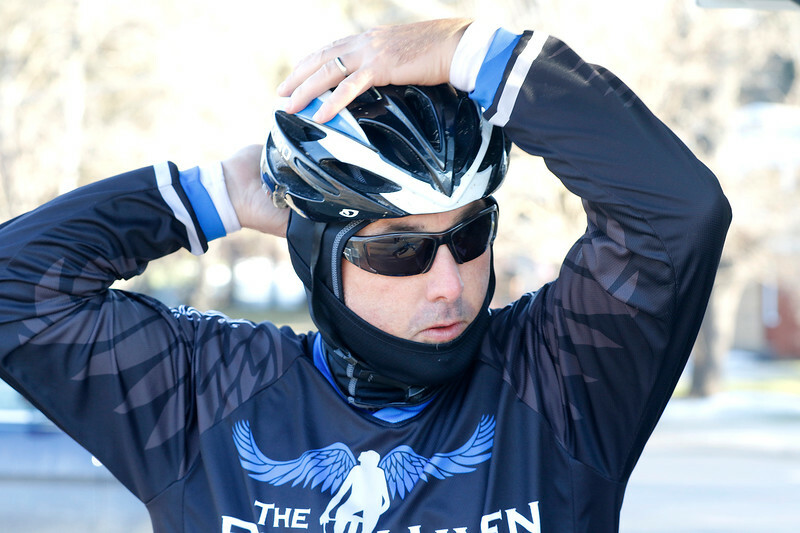 Shannon Cajpwesk of Johnsburg adjusts his helmut before heading out on the trails at Veteran Acres Park in Crystal Lake.